Rug Cleaning prides itself in offering the best and most professional cleaning services. Whether you need domestic cleaning of office cleaning London or whatever else, we are more than confident that we can cater for all your needs. We also offer a great sofa cleaning service. You would not believe how dirty your sofa can get over the years. It does need to be cleaned well from time to time. And if you don’t have the time at the minute, we highly recommend using our fantastic service. We have a professional team of sofa cleaners. They will make sure your sofas are spotless. We are aware that it can be rather a challenge finding the time in your day to clean. That is why we would love to help you. We are dedicated to providing you with a first class cleaning service in London for a great price. When you invite guests over, you don’t want the embarrassment of having to let them sit down on a filthy sofa. So if your sofa is stained and smelly, then you must do something about it now before it wrecks your social life. All you have to do is call us on 020 3744 3066 and a member of staff will help you in any way you need them to. Plus, you will receive a bonus free quote when you call our office today. You really can’t lose really, when you book with us. Is your sofa smelling a bit lately? Have you noticed the amount of stains on them is growing? If your sofa is starting to look slightly abandoned, you should think about hiring us now for amazing cleaning services. We offer a great sofa cleaning service that you can use which will be carried out by our excellent sofa cleaners. They will literally transform your sofas until they look almost brand spanking new again. Our London upholstery cleaners are dedicated to their work. They make sure, when you hire us, that they do a great job every time. Our standards never fail. We always reach the high standards we set for ourselves and we believe that our clients deserve only the very best that we can provide them with. If you would like professional services, please get in touch with us now and we’ll be glad to help you. There is no cleaning company quite like Rug Cleaning. 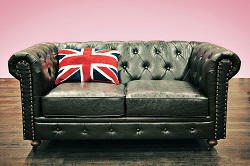 If you need sofa cleaning in London, we have the experts to do it for you. We only use eco friendly, non toxic cleaning products on your sofas. We are very conscious about the environment and we care about our planet. So, for this reason, we feel it is vital that we make the conscious decision and effort to use only products that are friendly to the environment and are not going to leave any lasting damaging effects like so many products on the market today. You can count on us for excellent services that you would not be able to receive from any other company in London. We are a very proud company and we are very honored to be helping you with whatever cleaning you need. Even better, our prices are amazing. You would not believe what a great job we do and for such a great price. If you need professional services, you should turn to us and we will do all we can to ensure all your upholstery cleaning needs are met. Call today on 020 3744 3066 for further details and a free quote too!